The YSU Wind Ensemble, Stephen L. Gage, Conductor, will host the 13th Annual YSU Wind & Percussion Invitational. 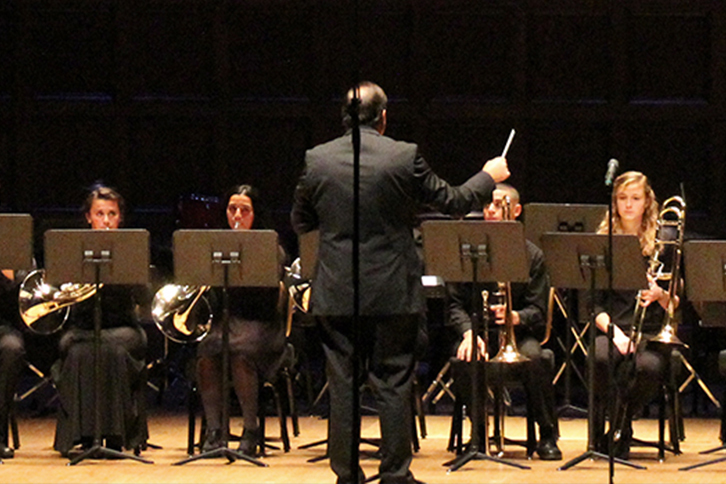 This year’s guest ensembles are the Champion High School Symphonic Band, Tyler Husosky, Conductor, and the Seneca Valley High School (PA) Wind Ensemble, Robert Matchett, III, Conductor. The program will open with the YSU Percussion Ensemble, Glenn Schaft, Conductor and will close with the YSU Wind Ensemble performing music of Dimitri Shostakovich, Ron Nelson, Morten Lauridsen and John Mackey. For the grand finale, the seniors from the two high school ensembles will join the YSU Wind Ensemble in a rousing joint performance of the Sousa classic, Stars and Stripes Forever!